Five years ago next month, Russia annexed Crimea in the first forcible annexation of the territory of a European country since 1945. It would, in quick succession, go on to invade eastern Ukraine. The war Russia waged – which has claimed over 10,000 lives, almost a third of them civilians – generated considerable popularity for Vladimir Putin. With his actions in Ukraine, Putin put Russia’s foreign policy on a collision course with the West. In the years since, Russia’s actions – from Syria to Salibsury – suggest that this has not changed. But much else has. Putin’s approval ratings are falling, Russia’s economy is stagnating, and domestic problems abound. 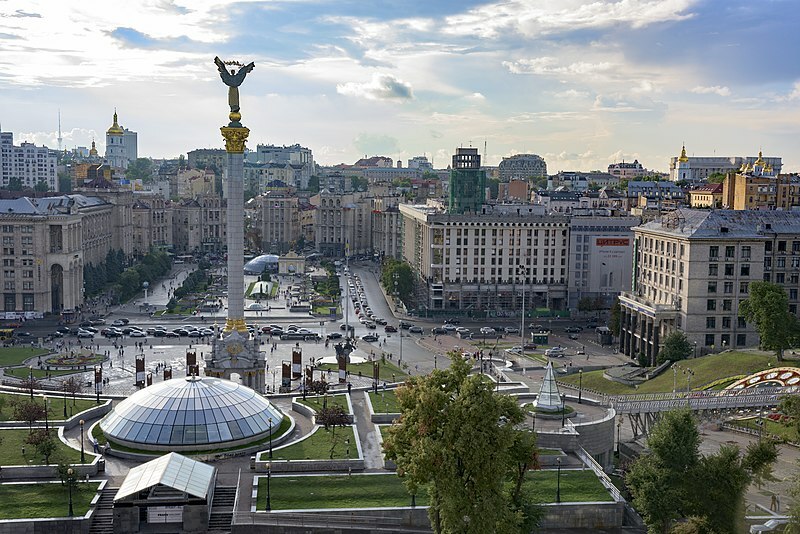 By kind invitation of Sir Michael Fallon MP, the Henry Jackson Society is pleased to invite you to join Sir Andrew Wood and Kadri Liik for a panel discussion on the evolution of Russia’s foreign policy five years from Maidan. Sir Andrew Wood has been an Associate Fellow of Chatham House since 2005. He was a member of the British Diplomatic Service between 1961 and 2000. He served three times in Moscow (1964-6, 1979-82 and, as Ambassador, 1995-2000), Belgrade (1975-79, and as Ambassador to Yugoslavia 1985-9) and Washington DC (1967-70 and 1989-92). He was until 2012 a regular visitor to Russia and other countries of the former Soviet Union on behalf of a number of UK based enterprises, including BP for the term of its partnership with AAR to form TNK-BP. (BP now being associated with Rosneft). He was the co-author with Lilia Shevtsova of a dialogue entitled “Change or Decay – Russia’s Dilemma and the West’s Response” (Carnegie, November 2011), a contributor to “The Russia Challenge” published by Chatham House in June 2015, and the author of the Chatham House report of March 2018 “Putin and Russia, 2018-2024: What Next?”. He has also published regularly for The American Interest, most recently “Change in post-Putin Russia?” on 28 November, 2018. He is in addition a regular commentator on British and US media. Kadri Liik is a senior policy fellow at ECFR. 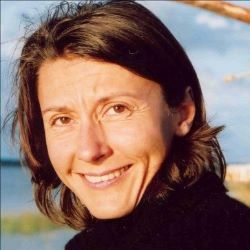 Before joining ECFR in October 2012, Kadri was the director of the International Centre for Defence Studies in Estonia from 2006 until 2011, where she also worked as a senior researcher and director of the Centre’s Lennart Meri Conference. 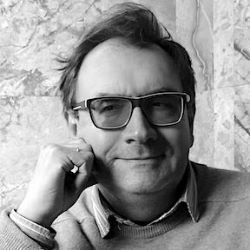 Throughout the 1990s, Kadri worked as a Moscow correspondent for several Estonian daily papers, including the highest-circulation daily in Estonia, Postimees, as well as Eesti Päevaleht and the Baltic News Service. In 2002, she became the foreign news editor at Postimees. In 2004, she left to become editor-in-chief at the monthly foreign affairs magazine, Diplomaatia. She was also the host of “Välismääraja”, a current affairs talkshow at Raadio Kuku in Tallinn. Kadri has a BA in Journalism from Tartu University, Estonia, and an MA in International Relations, specialising in diplomacy, from Lancaster University. Vladimir Pastukhov is a Doctor of Political Science and Visiting Fellow at St. Antony’s College, University of Oxford. In the 1990s, he worked as a fellow at the Institute for Comparative Political Sciences and the Institute of Latin America (both under the Russian Academy of Sciences). He served as counsel to the Constitutional Court of the Russian Federation, as well as to the State Duma and the Moscow City Mayor’s Office. 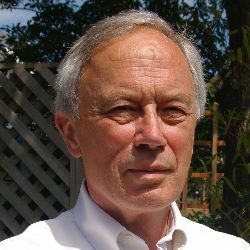 He is the author of several books and over 200 scholarly articles on constitutional law and political science. Vladimir Pastukhov is one of the authors of the report ‘Constitutional Crisis in Russia and How to Resolve It’ by Institute of Modern Russia. 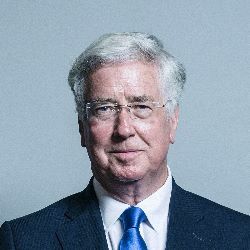 Rt Hon Sir Michael Fallon MP – was first elected MP for Sevenoaks in 1997. He was Secretary of State for Defence from July 2014 to November 2017 General Election. Formerly he served as Minister of State at the Department for Business, Innovation and Skills and Minister of State at the Department for Energy and Climate Change. 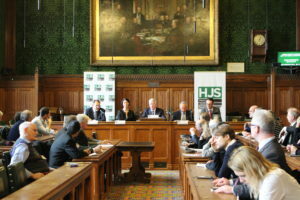 On the 6th February the Henry Jackson Society was delighted to host our latest event, “Evolution of Russia’s Foreign Policy: 5 Years from Maidan”. Our guest speakers included former member of the British Diplomatic Service and Ambassador Sir Andrew Wood, Kadri Liik and Vladimir Pastukhov. The event was chaired by Rt Hon Sir Michael Fallon MP, former Secretary of State for Defence. Vladimir Pastukhov began the event by emphasizing his perspective as a specialist on Russian domestic politics. Pastukhov expressed his surprise that the event’s title seemed to focus only on the period after the annexation of Crimea, as he believed that it was necessary to look further back in time to see changes in Russia’s foreign policy. Instead, he argued that the evolution in foreign policy can be traced back to 1991 and be categorised into three distinct time periods. First, Pastukhov described 1991 through 2002 as “Expectations.” Although the Cold War had ended in a Russian “loss,” Russia had hoped to still be respected by Western nations only to be disappointed by the way it was treated on an international level. From then until Maidan, Pastukhov argued, Russia focused on “offense politics.” If Moscow could not gain respect naturally, it would instead force others to respect it, regardless of means. It was because of this policy, therefore, that Russia felt the need to annex Crimea to establish respect even if through fear. Lastly, Pastukhov argued that post-Maidan Russia consistently pushed itself into situations of high tension with the West in order to continue to fuel its reputation as the memory of Crimean glory faded. Pastukhov concluded that these incidents were often timed to cover up domestic issues within Russia, because such actions would be inexplicable otherwise. Following Pastukhov’s remarks, Kadri Liik introduced her points by arguing that there has been a change in the methods of Russian foreign policy since Maidan, but was unsure what the significance would be over time. She further divided the post-Maidan period into before and after the election of President Donald Trump in the United States. Before President Trump was elected, Russia and the West were at a standoff; Moscow did not know what to expect from the West. However, after the election of President Trump, the atmosphere eased and Moscow was more willing to compromise than before. Liik argued that if Hillary Clinton had won the election, this would not have been possible as Clinton was expected to be a staunchly anti-Russia president. She also emphasized that the world is now in a state of turbulence and that due to this, Russia has struggled to get Middle Eastern regional leaders together as they had hoped. Lastly, Sir Andrew Wood argued that the Kremlin’s fears had increased in recent years, and that this reflected on both Russia’s foreign and domestic policies. Specifically, he pointed to Russia’s economic struggles as an important concern for President Vladimir Putin. In the case that this economic situation continued, the chances of protests erupting in the provinces among the working classes would become more salient. However, Sir Wood contested that the economy would need significant structural reform in order to improve, but that President Putin would never make such changes. Additionally, Sir Wood acknowledged that some of President Putin’s policies may have admirers in the West, but this did not mean these policies were applicable in places such as Syria. In concluding the session, the speakers agreed that the question of what comes next in Russian foreign policy is unanswerable. As Sir Wood stated, Russia’s foreign policy may be stagnant for now, but it still has the ability to further evolve in the future.